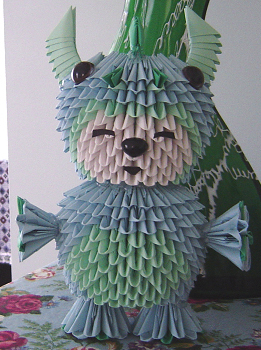 I was inspired by Jaxster\’s 3D origami bear in dragon suit, so inspired that I had to make one myself. how you make round like this? very nice bravo good colors choices! i want a diagram for this please…….